Recently I have enjoyed two nonfiction books that have taken me inside worlds I have not known. One is written by a reporter about a subject you might pass over. That could be a mistake. The second is a memoir by a woman who joined Mother Teresa’s Missionaries of Charity. That one too deserves your consideration. Yes. 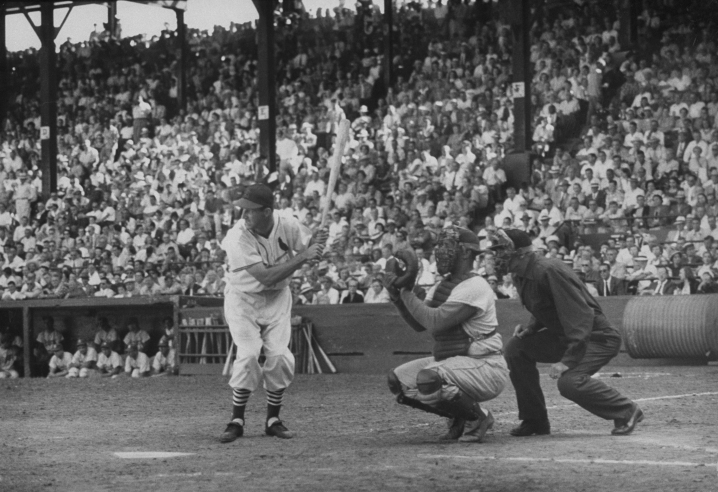 my third post on Stan Musial in the last week, more than I’ve ever done on any one topic previously. Why am I so focused on him? If you’ve got about 20 minutes, listen to the Remembrance Bob Costas gave at Musial’s funeral. I’ve already posted mini-reviews of most of the current, popular and other films I’ve seen since the beginning of 2013 (Amour, Zero Dark Thirty, Rust & Bone, Promised Land & Les Miz). 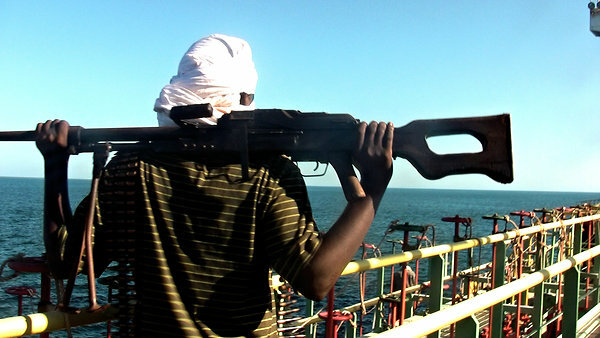 Have you ever wondered how a few guys in a motorboat can capture a huge ship, hold the crew and ship hostage, and then escape with millions of dollars? 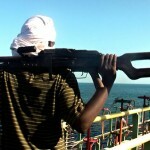 And I hope to find out how that can happen and what the Somali piracy is all about. I have one ticket available for someone to join Ellen and myself. There will be a panel discussion following the film. I mentioned this evening previously but so far have had no takers. 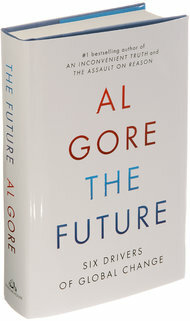 Former VP and Nobel Peace Prize winner has a new book being published next week, entitled The Future: Six Drivers of Global Change. 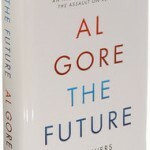 As I understand it, The Future is broader than VP Gore’s writing on environmental issues. It is about what he sees as the forces that are changing our world. Join me Thursday, Jan. 31, 7 PM at Sixth & I St for this sold out event. Let me know by email (Samesty84@gmail.com) if you are interested in either of these evenings. In response to the Stan ‘The Man’ vs Lance ‘The Liar’ post on MillersTime a few days ago, friend and reader Diane K. bemoaned that there were not more good stories of athletes such as Stan Musial. As if on cue, my son-in-law told me about a story he had just seen where Ivan Fernandez Anaya, a Spanish runner, did precisely what Diane, and many others, long to hear. 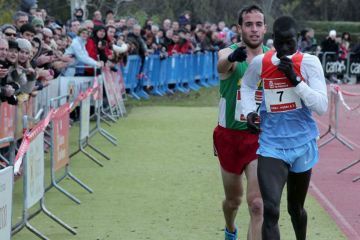 In December, in a long distance race, Abel Mutai of Kenya, who had won a bronze medal in the Olympics, thought he had won this race and slowed, actually short of the finish line. Anaya, coming up behind Mutai, knowing that he could have passed Mutai and won the race, did something different. Let me see if I can explain myself. Well, I have gone to and returned from Richmond, where I was seeking to regain food tastes from years of enjoying a local family run establishment in DC, A.V.’s Ristorante. No. 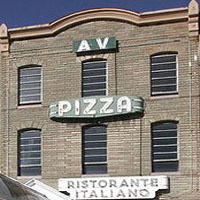 A.V.’s has not been replicated by his son Ed who now has three places to eat Italian food and a fourth one on the way. But if I lived in Richmond, I would certainly frequent all three quite often. "Amour", "Les Miserables", "Promised Land", "Rust & Bone", "Zero Dark Thirty"
Lots of wonderful films in 2012, and 2013 is starting off very well also. While most of the films mini-reviewed below were actually produced in 2012, I am just getting to them now. O.K., I need a bit of help. Possibly by Thursday, January 17th. For those of you who have been in DC for five years or more, I suspect the name A.V. 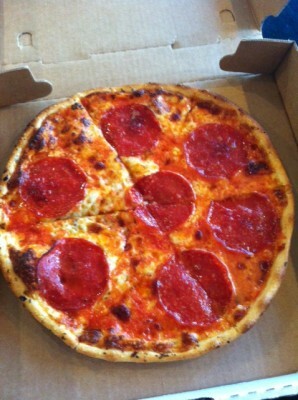 Ristorante is familiar to you. It was a sketchy looking place from the outside (and not much better looking inside) at the corner of NY Ave. and 6th St.NW, where you could get the best white pizza ever made and also the best pizza I’ve ever had. It didn’t matter what else they served, but if pizza wasn’t your idea of a good meal, and it was the right season, their sauteed soft shell crabs with garlic pasta (you needed to ask for the garlic pasta which was better than the very good red sauced one that usually came with the soft shells) was always good. 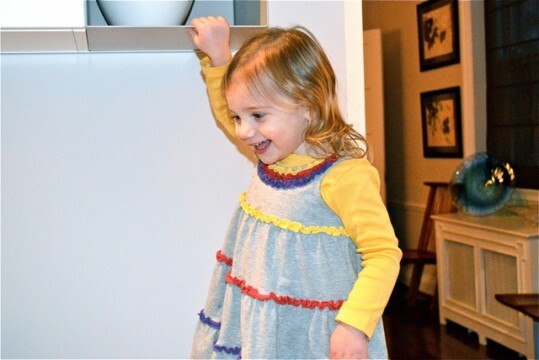 The other day I was asked to ‘help out’ with Abby for an hour and a half while her parents Annie and Danny kept an appointment. “After all, how bad could an hour and a half with a two-year old be,” I foolishly thought to myself. Now that Opening Day is in the current year, more and more of my thoughts are turning to one of my serious but not life threatening obsessions. Apparently others can say the same, as I’ve received from MillersTime readers the following two links to baseball articles, both of which I gladly pass on to others who may be equally obsessed and looking for something to read other than warmed over Hot Stove material. A couple of weeks ago I noticed something that seemed strange at the time, but now I think I’m beginning to understand it. As one of my on going interests is reading, I am a sucker for the end of the year lists of favorite books. One list that I saw was quite surprising. Goodreads, the online site that focuses on what its reading members list and like, had as its top nonfiction book of the year a title that did not appear on any of the usual lists of the year’s best books that I had seen. The signs are all around us. The football season is, finally, coming to an end. There will be an announcement tomorrow about the new inductees to Cooperstown. References are appearing to the number of days until ‘Truck Day,’ ‘Pitchers and Catchers,’ Spring Training, etc. Two of my three Nats’ ticket partnerships have had their drawings for 2013 tickets. Life is beginning to stir again. Which brings me to thoughts of the annual MillersTime Baseball Contests. And it’s an equal gender contest as about half of the winners are consistently of the female persuasion (three of six in 2012). So as I fashion this years contests, I’m calling for ideas on what would make for good questions. In the past, I’ve asked about your best single prediction for the coming season, who would be in and win the World Series, how well would the Nats do, what would happen with the Red Sox and Yankees’ seasons, etc.? But I am open to some new questions, some new contest ideas. 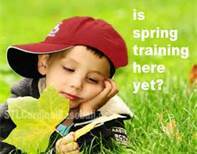 Hopefully, some of you will send ideas for questions for the 2013 MillersTime Baseball Contests. You can do so by emailing me (Samesty84@gmail.com) or putting your question(s) in the Comment section of this post. I have a ticket for someone who wants to join me (free) at either of the two speaking appearances described below at Sixth & I St. in DC. Let me know by email or in the Comments section.